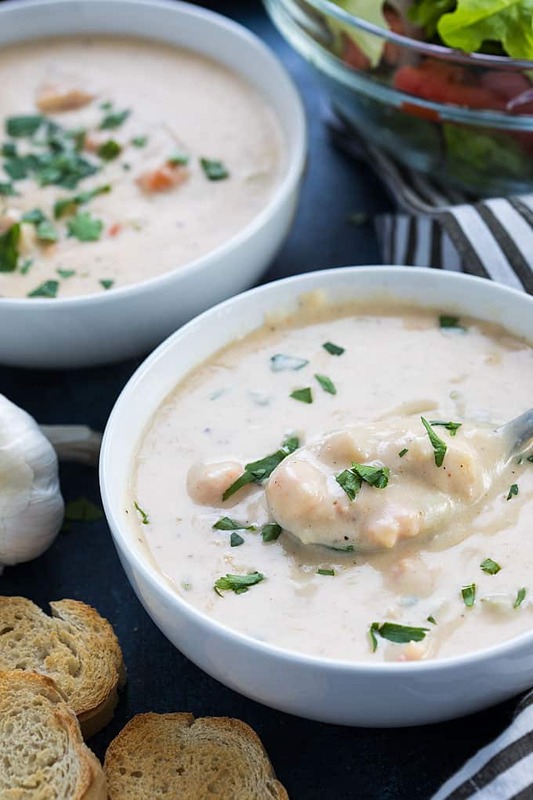 Today I’m sharing one of my favorite comfort food soups: Seafood Bisque. 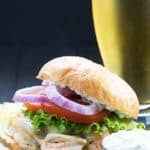 Since the recent passing of my dear friend Rhonda, I’ve been brainstorming on what to do to help keep me motivated during this grief, so I decided to do a little series on some of her favorite foods (and drinks!). 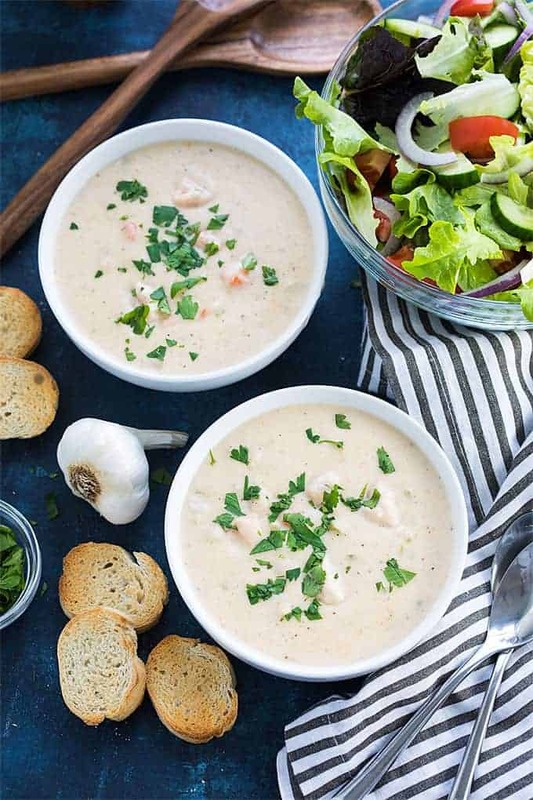 Seafood bisque with a salad was one of the last meals I brought to her and her husband said she absolutely LOVED it! However, I can’t take any credit for the bisque I brought her that she loved so much… I had an appointment in Beaufort NC one day last month and stopped by Clawson’s 1905 Restaurant and Pub to get the seafood bisque before I went to her house… their seafood bisque is soooooo good and I highly recommend dining there if you’re ever in the area (not sponsored – I just love their food, service and atmosphere!). I never got the chance to make Rhonda my own version but I know she would approve! 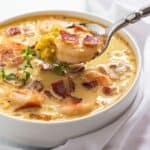 Everyone’s cooking style is different and I loved this bisque just as much, but I will still continue to eat the seafood bisque at Clawson’s when I dine there. 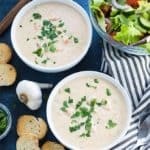 I hope you enjoy this bisque as well! In a Dutch oven or soup pot, melt 3 tablespoons of the butter over medium high heat. Add shrimp and scallops and cook until shrimp are pink, stirring frequently (about 4 minutes). 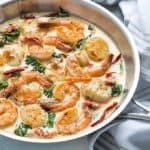 Remove shrimp and scallops with a slotted spoon and place in a bowl or on a plate, leaving juices in pot. Add the remaining 3 tablespoons of butter and melt. Add celery and cook for 5 minutes, or until tender (stirring frequently). Add garlic and cook until fragrant, about 30 seconds, while continuing to stir. Slowly add flour while whisking to combine. Add half and half and seafood stock, while continuing to whisk. Bring to a simmer and simmer for 10 minutes or until thickened, stirring occasionally. Return shrimp and scallops to pot. Add white wine, Old Bay Seasoning, nutmeg, sugar, salt and pepper. Stir well to combine. Simmer for an additional 5 minutes, stirring occasionally. 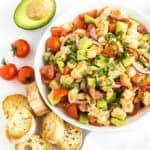 I made this recipe yesterday and my family is still talking about it! 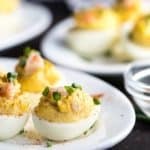 I doubled the recipe because we had a larger crowd – but it goes a long way. I added fresh crab meat as well. I will admit that it look me way longer to prepare this than 10 minutes – and cook time was over an hour – almost 2. I cooked it slowly to make sure I didn’t scorch the pan and also used more flour because I like my bisque on the thick side. Open bottle of chardonnay to boot – and it will definitely be a keeper! Thank you so much!! This turned out great! 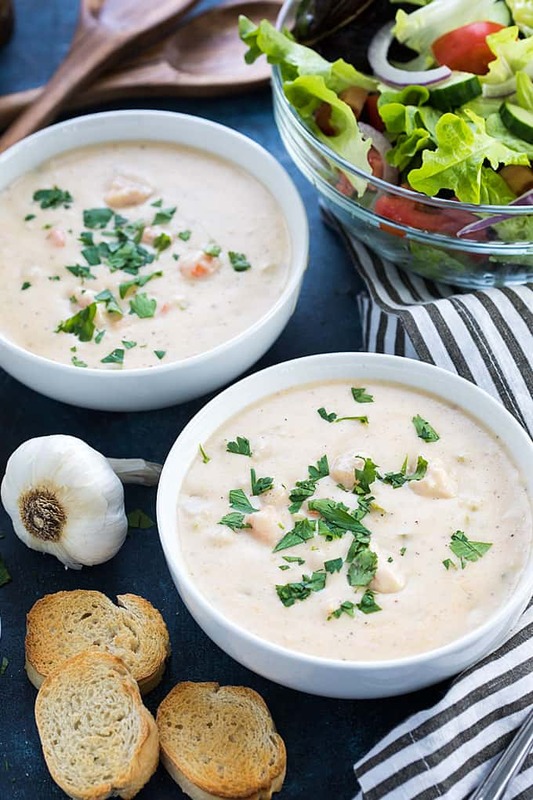 I added some clams and some tomato paste because we like tomato-ey seafood bisque, and it turned out great! My first try, and success!! I followed three recipe exactly, other than substituting seafood stock with a garden veritable stock. I’m definitely keeping this on my menu!!! Thank you! 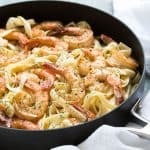 I made this recipe last night for my fiance and I and we both LOVED it. I couldn’t find seafood stock so we instead boiled some blue crab claws in a smaller pot to make our own stock (just boiled it while I chopped all the veggies and cooked the scallops). I also added finely chopped onions and carrots along with the celery because I had them and mirepoix is just classic. Will definitely be making this again! Excellent! I made this tonight and we all loved it.